The one thing that we all dread is having a flat tire. It does not matter if you are at home or the road, the feeling of frustration is the same. It not only makes driving the car dangerous but also inconveniences a lot of people. Sometimes you just do not have time to go to the gas station to add air to your tire. Inflating the car tire without a pump will become somewhat of a problem at this point. A flat tire or one without enough air in it does not always occur in an environment where you can just run to the closest pump station. Sometimes you’re using the back roads heading to a hidden location. Other times you’re in the middle of a highway but far from any small town and hopeless. What do you do in such a situation? We found the perfect way to solve the issue of a flat tire. 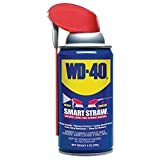 How to pump a tire with Wd-40 – multipurpose fluid. Even if you do not have a proper impact wrench for lug nuts or good small compressor soome solutions are right in your home. You may not even need to go to the shop to get the items needed. This makes inflating the tire at home so much easier. So what’s this well-known secret for inflating a tire without a pump? Fire! That’s right, and this is the DIY solution for a flat tire or one that needs more air. Sounds a bit extreme and archaic but it works. Science is a beautiful thing when it is used to improve our daily lives. Here we will use some readily available products to quickly fix a tire with little air right in our homes. Make sure to have all of the necessary products mentioned below before starting the process. Now let’s get right into it! 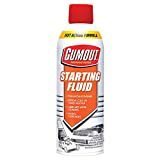 The first item you can use on our list is starter fluid. The highly flammable liquid will work well to cause the explosion required in the tire. Raise the car off the ground with the help of a jack. Once the car is lifted, detach the flat tire or the one with less air from the car. Place the said tire on the ground outside your garage. With caution apply the starter fluid around the rim of the tire. Once the starter fluid is well applied, ignite it carefully. As soon as the tire is inflated, extinguish the fire using suitable means. Before trying this method please read more about it here. If you have machinery in your home or a car, then you already have parts cleaner lying around somewhere in your garage. You can lift the car off the ground slightly using a crowbar. Detach the flat tire from the car if you are working indoors. If you are not working indoors, you can place the tire in your driveway if you have detached it. Apply the parts cleaner around the rim of the car tire. Once the cleaner is well-applied, use a candle lighter to ignite it. If the fire does not burn itself out using a fire extinguisher. This is one of the more commonly used flammable agents. It is readily available in most homes. You can use it to give your tire a little boost in the air department. Raise the car from the ground using a crowbar. You can choose to detach the tire if you’re working in your garage for safety. Place the tire outside on the ground and far away from any other items. Apply the WD-40 around the rim of the tire. Use a candle lighter to ignite the WD-40 carefully. Once you have carried out the above steps, the car tire will inflate almost immediately. The fire combined with the flammable agent will cause an explosion of gases in the tire. The expansion of these gases as they explode is what causes the tire to inflate. The tire bead will be set by the explosion of gases. Do not use an excessive flammable product. This is to avoid having more fire than is necessary. Put out any excess fire. Once the tire is inflated, make sure you put out the fire. Failure to this the surplus fire could burn off some of the rubber parts. Remember that when rubber burns it produces toxic smoke and can make it harder to put the fire out. Once you have inflated the tire, ensure that you have it checked for the right pressure back at a filling station. This is to avoid wheel unbalancing. This method will work if the tire is tubeless. This method will also not work if the bead is broken or there is a slash on the inside of the tire. Auto or ATV tires will only inflate if the bead around the rim is tightly sealed. Never Ever use gasoline in the place of the flammable liquid. Better read this article and choose a compressor for the car tires before tesing this method. Of course, you need to have a proper air compressor or pump to inflate your tires. A kit of tire tightening tools such as torque wrench, and any of recommended impact wrenches. But in case you do not have any of the mentioned above tools, you do not need to get out of your driveway to fix the tire. All you have to do is follow the steps above to the letter. If you are having trouble sealing in the air, then you can apply dish soap to the outside of the tire rim before applying the flammable agent. This will keep all the air sealed in. Thou this method is not a permanent fix it does help to reduce the hassle of getting to a filling station to pump your wheels. This is also a lifesaver if you are out on the road and far from any town where you can get access to a pump. Ensure you visit a filling station or use a portable air compressor to have the tire set to a perfect pressure point. This will help keep all the wheels of the car balanced.